Apple has officially released the iOS 12 Golden Master seed, which, in reality, actually means that developers and public testers have access to the first public release of iOS 12 in everything but name. With that release now out in the public, it’s actually possible to see how it performs on an array of devices when compared against iOS 11.4.1, which is the current firmware for iPhone and iPad. Apple used this year’s WWDC to wax lyrical about the improvements made within iOS 12 and to try and instill the belief that it is going to bring immediate speed and performance gains over iOS 11.4.1. All iOS device owners would definitely be glad to have those performance gains but it’s extremely important to see if the reality is the same as the theory once the build is installed on those devices out in the wild. 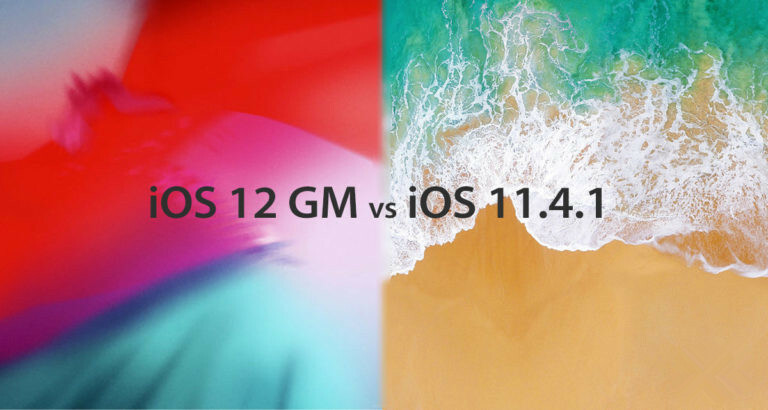 As is generally the case with these types of release, YouTube channel iAppleBytes has installed both the recently released iOS 12 GM and iOS 11.4.1 on a slew of devices and recorded the results to see if there are any tangible differences in performance. Both of the aforementioned versions of iOS have been installed on hardware such as iPhone 7, iPhone 6 / 6s, iPhone 5s, iPad Air 2, and then a series of speed tests were performed on the devices to look for any notable differences or improvements. As you can imagine, mileage will vary depending on the age of the device, the number of apps and amount of data installed on the hardware, and the general wear and tear that has been placed on the device over the course of its lifetime. And, once again as you might expect, despite the bold claims by Apple, there doesn’t appear to be any huge performance or speed improvements or anything to write home about. Given the fact that iPhone XS / XS Max and iPhone XR ship with the brand new A12 Bionic chipset onboard, we can expect the hardware and software combination to bring real tangible improvements. However, until then, it’s probably safe to say that iOS 12 will introduced a number of great features but isn’t going to make an average performing device a world beater. Check out the videos for yourself see what you think.